Darth Vader first stepped onto the silver screen in 1977's cinematic landmark, Star Wars Episode IV: A New Hope. Since that spectacular debut, millions have thrilled to the release of each new episode in the sprawling Star Wars saga. Darth Vader has played a role in every episode. Now, with the upcoming release of Star Wars Episode VII: The Force Awakens, fans everywhere are eager to once again cheer as the Jedi battle the forces of the Dark Side. 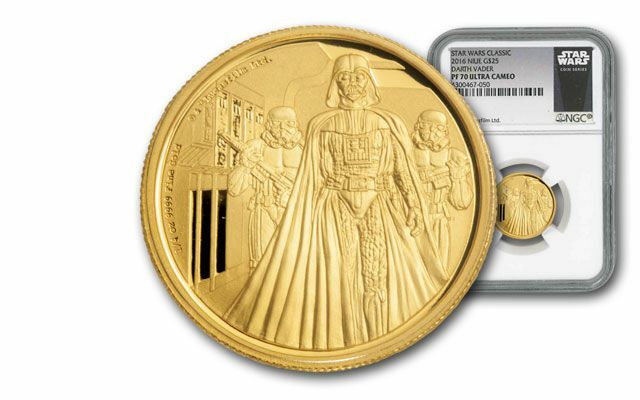 GovMint.com is proud to announce Darth Vader's first appearance on new Star Wars collectible gold and silver proofs. 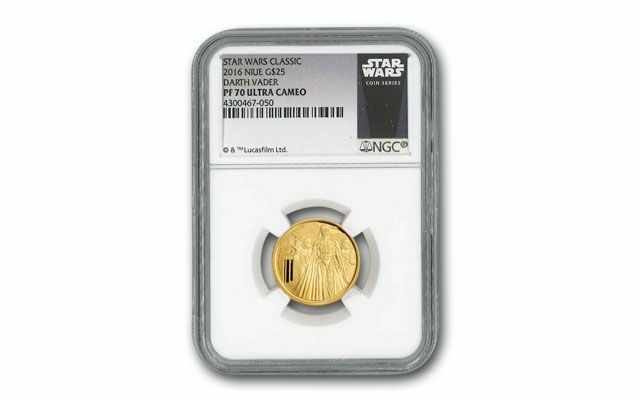 They're the first in a two-year coin series released by the New Zealand Mint featuring classic and modern Star Wars characters. The reverse of the proofs feature the first image we ever saw of Darth Vader, flanked by a pair of Imperial Stormtroopers as he boards a rebel ship searching for Princess Leia. The obverse displays a portrait of Queen Elizabeth II. 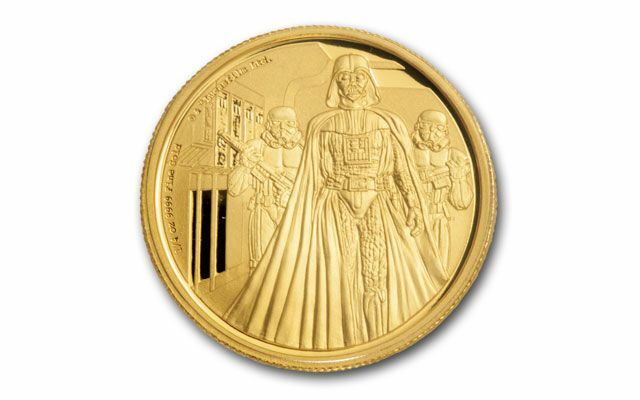 The coin design is approved by Lucasfilm Ltd. 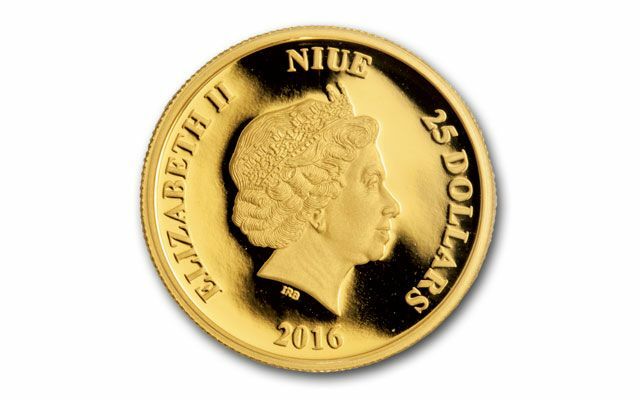 The one-ounce gold proof has a mintage of 500 and is struck in 99.99% pure gold. The quarter-ounce gold is also struck in 99.99% pure gold and has a mintage of 1,000 proofs, and the one-ounce silver proof is minted in 99.9% silver with a mintage of 10,000. Each grades Proof-70 (PF70) by Numismatic Guaranty Corporation (NGC) and comes with a numbered certificate of authenticity and the original mint packaging. It never hurts to have the Force with you, but to seize your Darth Vader proofs all you need to do is pick up the phone and call now!